The 1970s gave us a lot of things. There was Bruce Springsteen and Watergate and Star Wars. It was also the decade of colored sports balls. The American Basketball Association introduced a red, white and blue ball. Tennis replaced white balls with green/yellow balls and golfers started seeing yellow and orange golf balls for sale. Of the new innovations, only green/yellow tennis balls thrived in the marketplace. They also had the best reason for existing – Wimbledon switched because green/yellow balls showed up better on television and big time sports dances to the tune television plays. Following that same thinking, one would have expected the PGA Tour to stuff every pro’s bag with colored golf balls, since one of the biggest complaints of television viewers forever has been that it is difficult to follow the ball in flight. 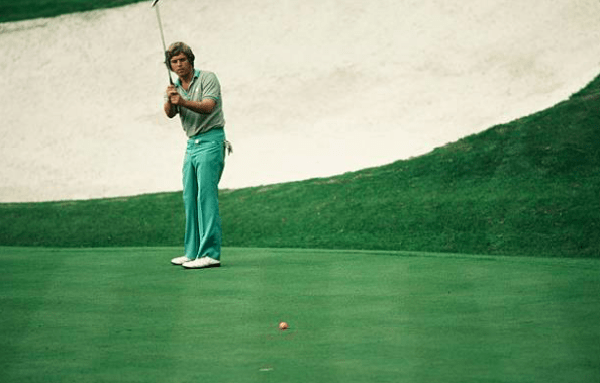 Golf fans got their first view of colored golf balls when New Hartford, New York’s Wayne Levi won his fourth PGA event at the Hawaiian Open in 1982 using an orange ball. Two months later Jerry Pate lit up the Players Championship by hitting his Optic Orange ball with a 5-iron to three feet on the 18th hole to seal a two-stroke win. That was it. Those would be the only two players to ever win on the PGA tour with a colored golf ball. Television executives claimed that the balls looked fuzzy on the screen and regular players never took to colors. Are There Any Advantages to Colored Golf Balls? If Rudyard Kipling had any sway beyond children’s literature, colored golf balls might be commonplace today. Kipling painted his golf balls red in the 1890s so he could play golf in the snow in Vermont. Even without snow on the ground, improved visibility is the best case for colored golf balls. Tests show that a player can follow a colored golf ball twice as easily as a white ball on 200-yard drives. A lucky player who’s able to get the ball out beyond 250 yards will benefit even more. They look great in flight on sunny days against puffy white clouds. On dark and gloomy days, colored balls lose their advantage over their white cousins (but can boost your spirit). Visibility on the ground is even more dramatic as colored golf balls are quicker to spot in the rough or woods. You also won’t have to worry about hitting someone else’s ball in your foursome since you will likely be the only one playing orange, pink, or purple. Golf is a game of conformity, and colored balls allow golfers to make a rare statement of individuality. Tradition, however, is a hard foe to slay. Rickie Fowler may have a closet full of neon-colored golf garb, but he plays a white golf ball. 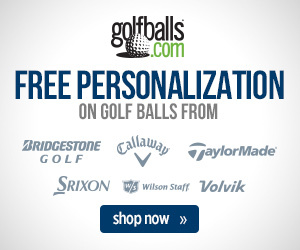 Personalized golf balls, novelty golf balls, and colored golf balls are a chance to bring out your personality on the golf course. Is This Just Another Fad? There are not many trends in golf that start at the grass roots and work their way up to the professional ranks. Weekend players tend to take their cues from the Tour Players. In the recent past players like Tim Clark and Vijay Singh have toyed with the idea of playing with a colored ball and the brightly hued orbs are seen on the LPGA Tour and the Champions Tour. 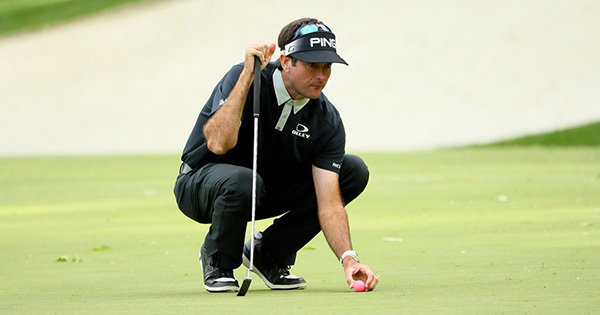 It was not until Bubba Watson signed this season with Volvik, however, that a top Tour player has committed to putting a colored ball on the peg every week. It is early yet but none of his fellow pros, perhaps tied to equipment contracts, are following his lead. 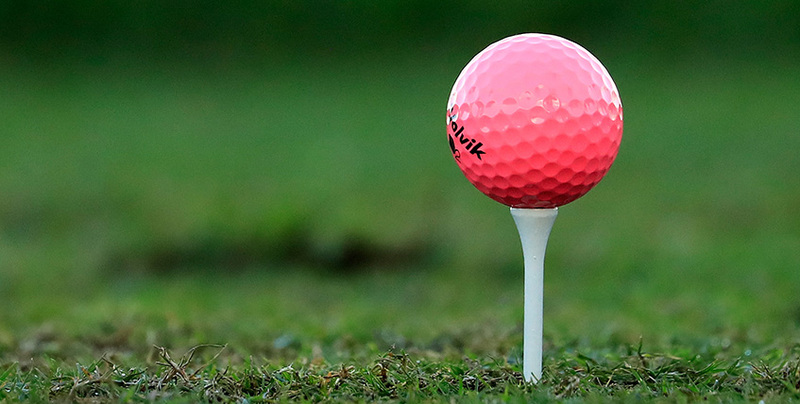 Regular golfers do not need to wait for permission from the pros to play colored golf balls. In the end, colored golf balls are all about fun and making golf fun should be every player’s objective. 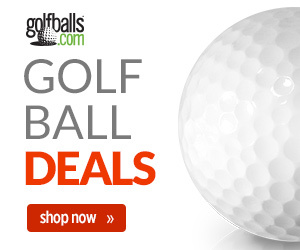 Check out Golfballs.com’s full line of colored golf balls from the best brands in golf.